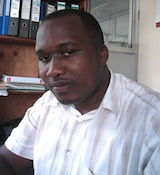 Lawrence Lubyayi is a statistician with over 8 years’ experience in data management, analysis, synthesis and dissemination; health systems research; social and public health evaluation research. Lawrence has a Master’s degree in Statistics (specialization in biostatistics) from the University of Hasselt, Belgium, and international experience in Belgium and in the African context, particularly in Uganda. His has worked with global donors including PEPFAR, NIH, ICER, IFPRI, DFID, Global Fund for Children and USAID.